I can't believe it is already Wednesday, this week has gone by so fast! It is killing me that I work inside and the weather has been so perfect the past few days(these pictures were taken last week). This weekend you will find us outside enjoying the nice weather! Oh and I am photographing my aunts wedding on Friday. I am so happy for her and I am glad she chose me to capture her special day! 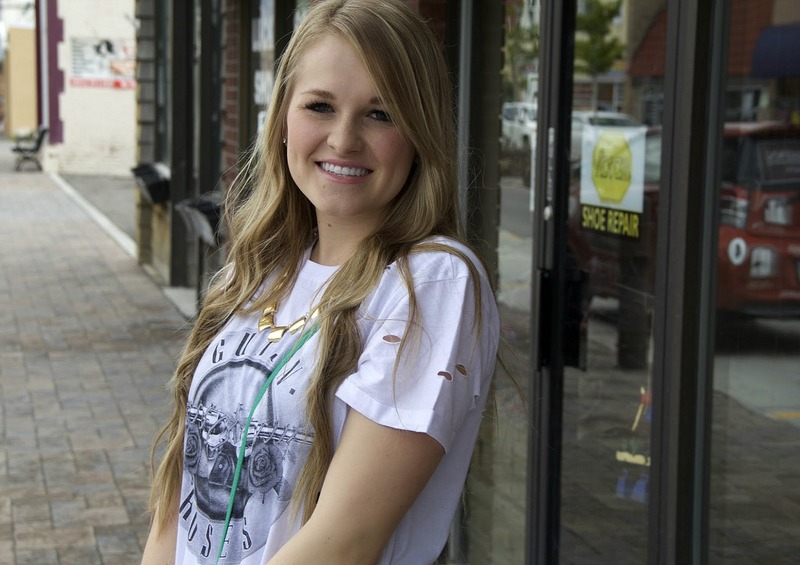 This outfit is a favorite, you can't go wrong with a graphic tee, skinnies and some comfortable shoes. I hope you are all having a good week! What has been your favorite outfits lately? 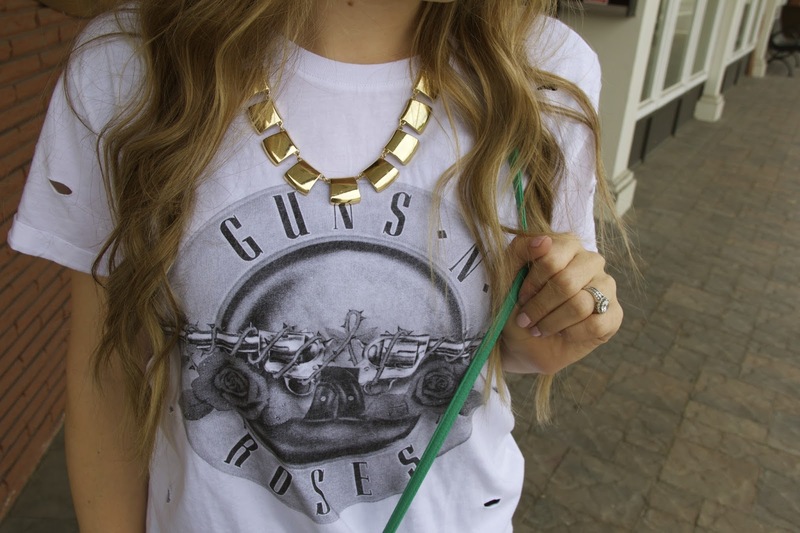 Girl after my own heart ;) guns n roses wins me over every time. 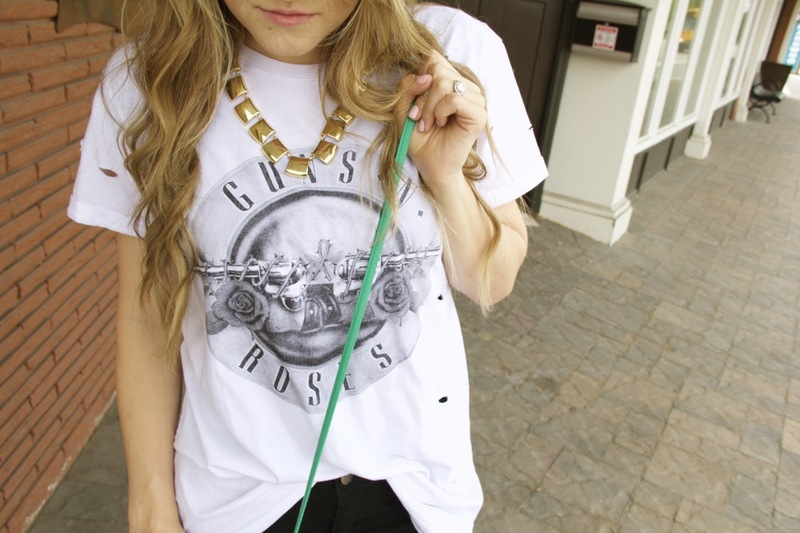 Love the outfit. YES!! I am all for a casual outfit. Thank you!